The Bermuda National Athletics Association announced the first 2 Qualifiers for the 2019 Carifta Games which will be held in the Cayman Islands April 20th - 22nd. Amelia Othman met the Standard during the Under 17 Girls High Jump during the Track Meet which was held at the National Sports Center (See Results Article posted on Saturday when the BNAA President sent the results to all the Media) with a leap of 1.55m with the Standard of 1.55m. 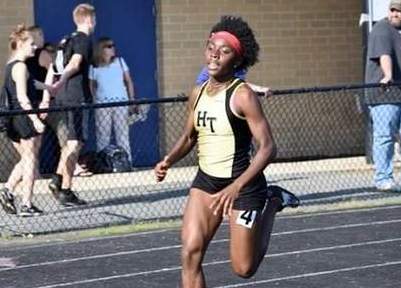 Caitlyn Bobb, the daughter of Bermuda Olympian Dawnette Douglas met the standard competing at the Franklin & Marshall High School Invitational Indoor Meet. Bobb while winning in the 200m Dash a time of 25.88, met the Under 17 Girls Qualifying Standard Time of 26.00. She also met the Under 17 Girls Standard Time on her way to winning the 400m Dash in a time of 58.27 with the Qualifying Standard set at 58.50. Bobb’s outdoor Personal Best times in the 200m is 24.87 and the 400m is 55.79. “The last date for qualification is Saturday March 30th,” concluded Raynor.